We spoke to George from Bathroom Werx about the benefits of bathroom re-enamelling. 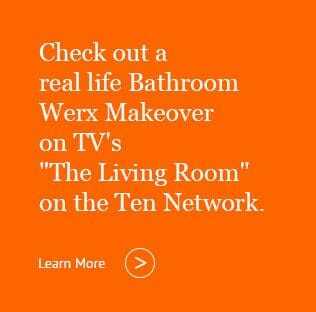 The Bathroom Werx group has finally blown away all those excuses Landlords have been using to avoid fixing unsightly bathrooms in rental properties. "It is a big job to fix an old bathroom ", comments George, "but we have a stunning brand new process that stops the grout from discolouring and is perfect for rental properties that have older bathrooms." In a matter of hours, the Werx Enamel is applied in the decorator colour of your choice leaving a sparkling, long lasting finish you'll be proud to show off to anybody. 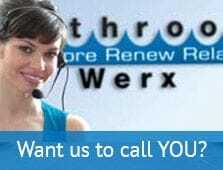 There are no structural changes needed, no replumbing, no re-tiling, and no mess! But the best news of all is the PRICE. Bathroom Werx's CEO, George Yammouni, is so confident that you will be both surprised and delighted with your new re-enamelled bath, basin, shower base and wall tiles, that he guarantees all workmanship and materials in writing for 7 Years. .